The governor told the guests about the humanitarian situation in eastern Ghouta, central region. Mr. Sablin, in his turn, informed Mr. Alaa Munir Ibrahim of the humanitarian action planned by the “Battle Brotherhood” Organization with the view of providing baby food and electric generators to the people living in the liberated areas of eastern Ghouta. 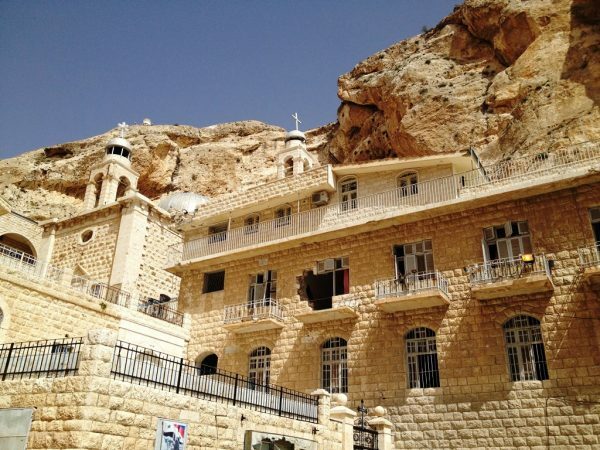 The participants in the meeting discussed various issues concerning the restoration of the Convent of St. Thecla, Equal-to-the-Apostles, in the city of Maaloula, Damascus province. 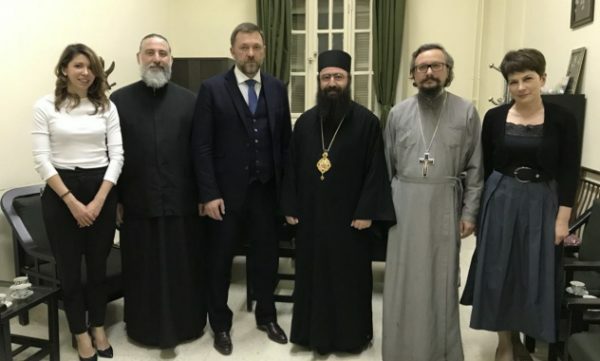 The “Battle Brotherhood” Organization in cooperation with the Russian Orthodox Church renders assistance to the Orthodox Church of Antioch in rebuilding the ancient abode destroyed by militants in 2014. The Russian delegation was accompanied by Hegumen Arseniy (Sokolov), representative of the Patriarch of Moscow and All Russia to the Patriarch of Antioch, who greeted the Governor of the Damascus province on behalf of the Primate of the Russian Orthodox Church and presented him with the Arabic edition of His Holiness Patriarch Kirill’s book Freedom and Responsibility: A Search for Harmony. That same day the delegation members met with Bishop Ephraim of Seleucia, vicar of the Patriarch of Antioch, to discuss some practical issues pertaining to the restoration of the Convent of St. Thecla in Maaloula.